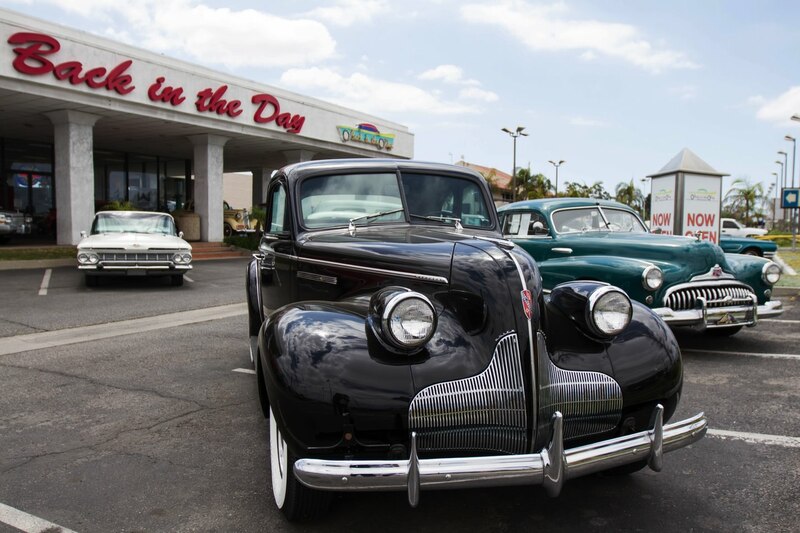 How did you start in the classic car business? 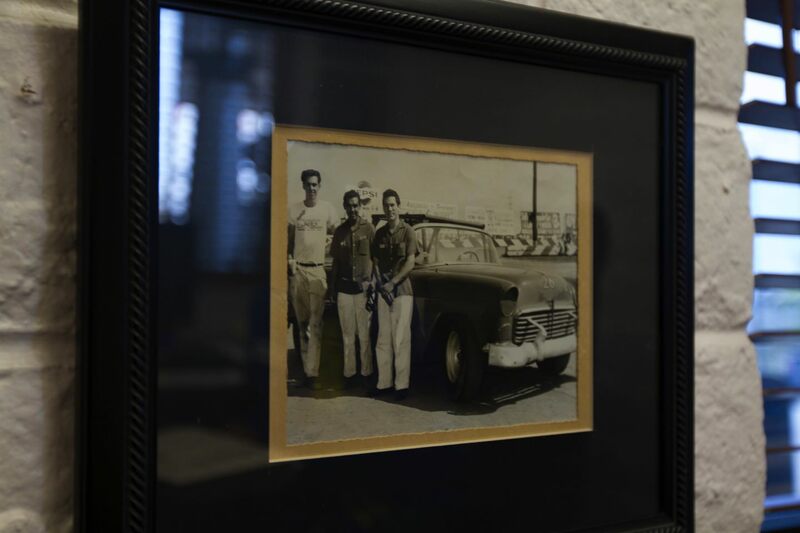 I grew up with my father's auto repair business which specialized in mechanical restorations for old cars. I worked there for 16 years straight out of high school. 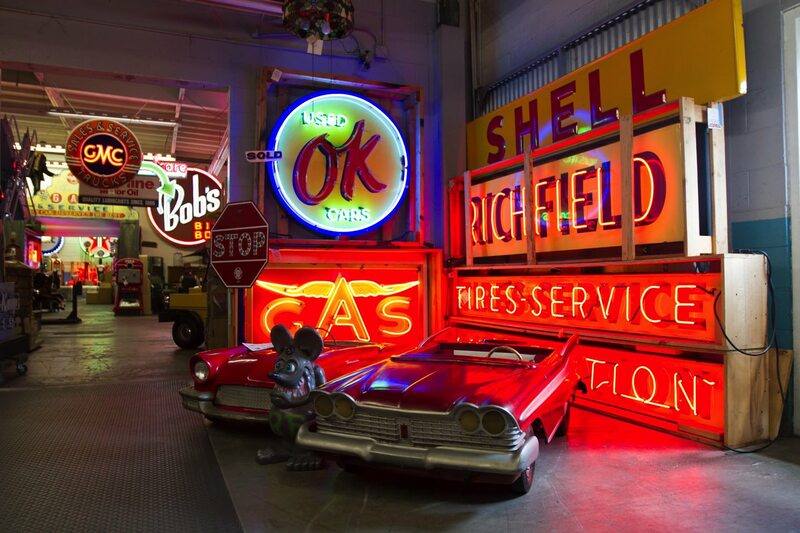 After that I started a classic car wrecking yard called Memory Lane in Sun Valley, California. I ran it for 18 years. So I've always been involved with old cars. I spent my life with them. When did you get involved with Back In The Day Classics? 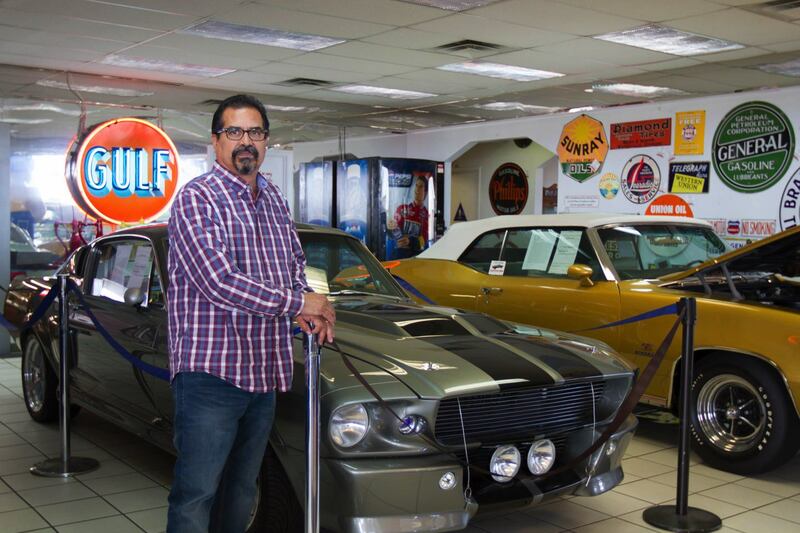 I closed the wrecking yard in 2008 and went to work for Ray Claridge, the owner of Back In The Day Classics. In the beginning, I ran his auto auction company called Ken Porter Auctions. We were located in Gardena at the time, but we were looking for another location to move into. We found the place we're at now, but the city did not approve having a car auction company here. So we went back to the drawing board and came up with the idea of opening Back in the Day Classics as well. We went to the next meeting with an artist's rendering of the dealership and they welcomed us with open arms. We've been here for nearly 6 years now. You have interesting memorobilia and antiques for sale here, is that a large part of your business? 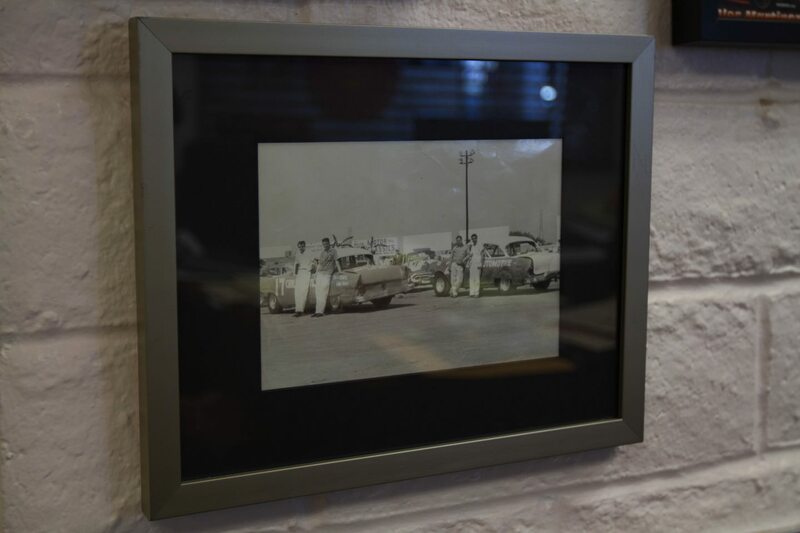 We first developed Back In The Day Classics only selling classic cars, but when we started decorating with memorabilia the demand for it grew. 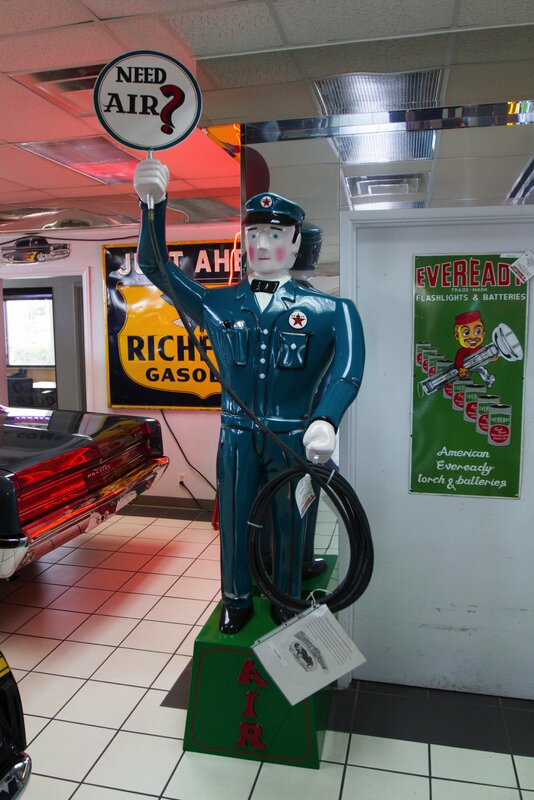 It really got big with the gas pumps and the neon signs. 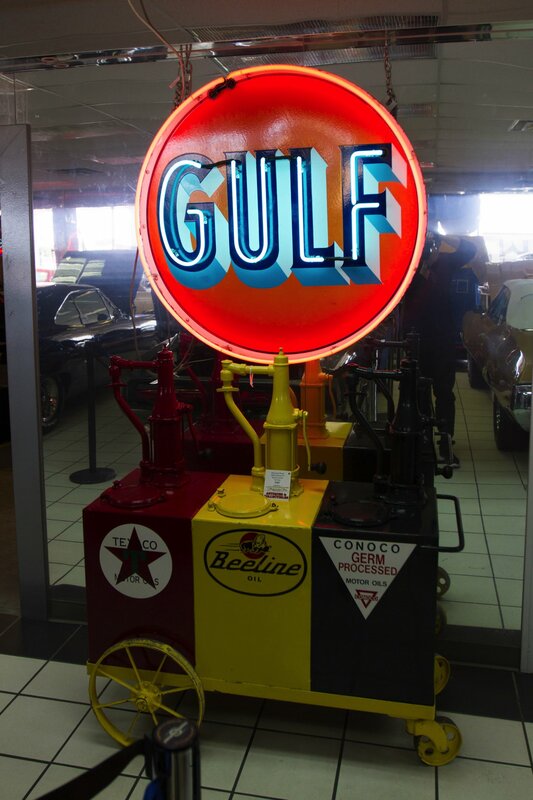 We started collecting more of them and displaying them in the showroom. What we do here now is cater to the guys building their man caves. We could supply them with cars and then all the decorations to go around them. 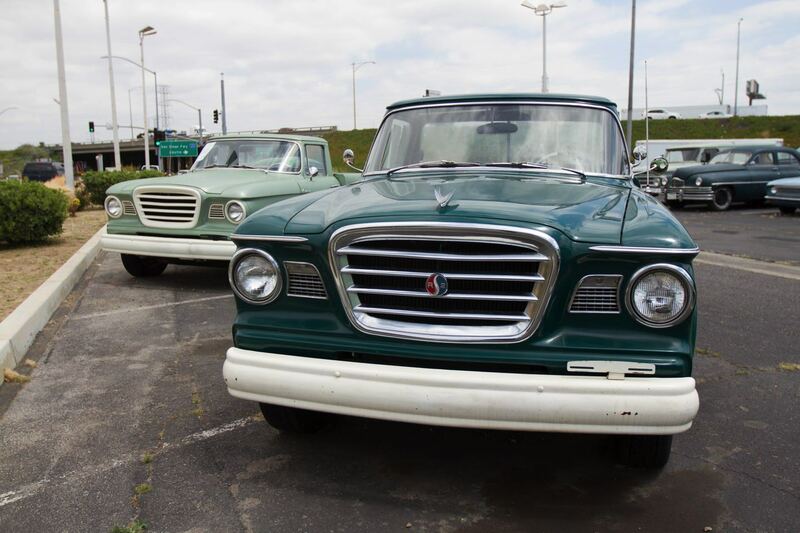 What's your view on the current classic car market? I think we have some of the younger generation getting into it now. Which is nice to see because before it was only older guys. Now they are passing on their interest to the younger generation. More of them want to go back to late 50s, early 60s, and hot rods. These are cars they can actually work on, and not have to plug in the computer to diagnose an issue. I think the "do-it-yourself" approach is growing with the younger generation more and more. 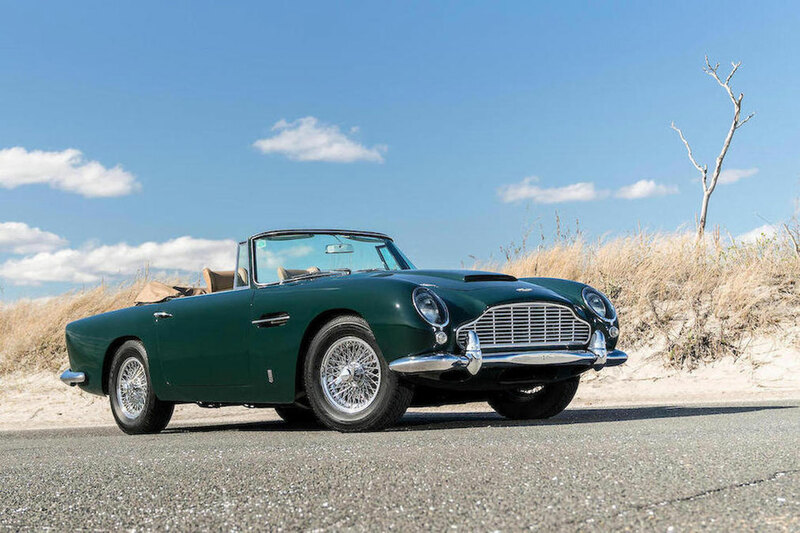 Are there any entry level classic cars you would recommend to a new buyer? Yea, but it depends on if they are fixing it up for fun, or if they are doing it as an investment. When you're doing it for fun then it would have to be a Mustang, Chevelle, or a Camaro. Reason for that is everything is reproduced now and parts are easily available. They are also quite inexpensive. How are classic cars selling these days? We have been pretty successful with our sales, plus our location is in a prime area. Most overseas and out of state buyers like to buy cars from California for two reasons: cars are rust free, and they're close to the ports. Another point we stress here with all of the employees is to never mislead anyone. Just be open and honest. 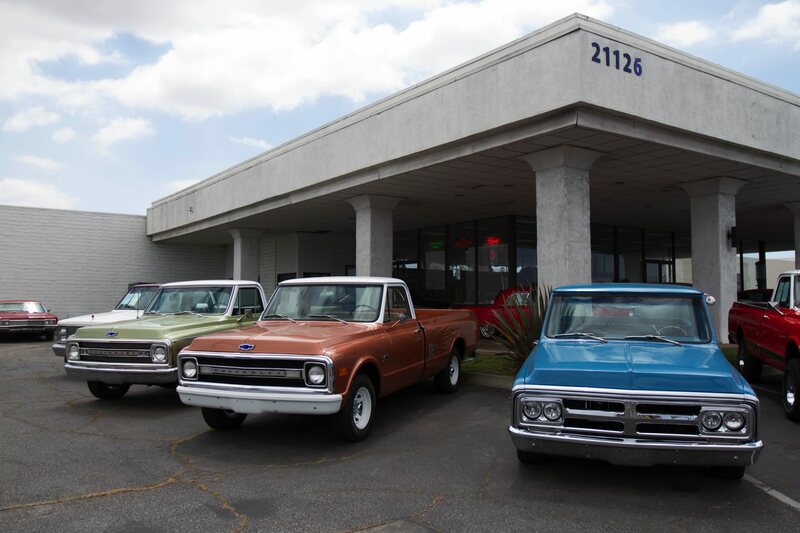 We point out any problems with vehicles whether it had a previous rust hole on it, a scratch, or a misaligned fender. We point those out to them. We supply buyers with photos underneath the cars, and we supply walk around videos of the car. We do whatever it takes to make them comfortable. 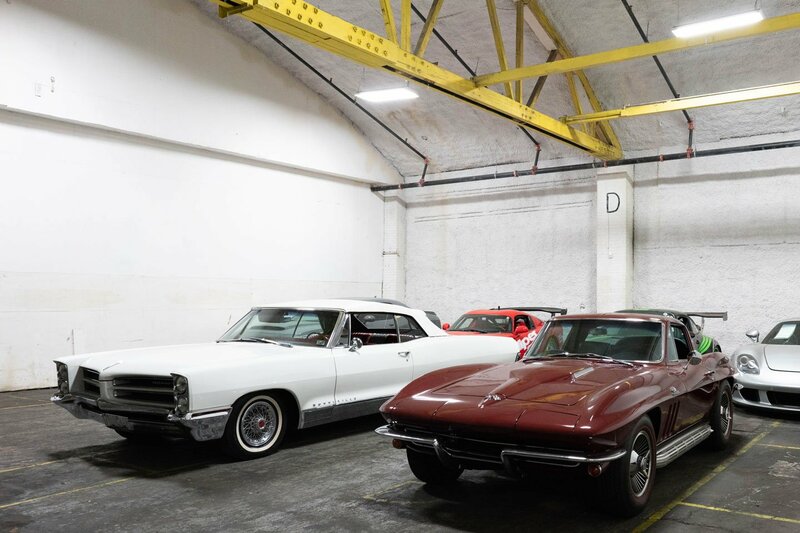 There are a lot of people that take advantage of classic car buyers. I've seen the horror stories on eBay, and other dealers as well. This isn't our sole income here, so we don't bank on these classics. This is more of a hobby for us. We have other businesses that supply the income to keep this running. So there's no reason to mislead or misrepresent anyone. Do you have any favorite cars? It's just what I do every day and I don't get excited about one particular car. I prefer a vintage race car, whether its anything from an old jimmy car, an old drag car, or an old NASCAR. That's what I like. An old Midget or something similar. That's what piques my interest. But then I appreciate anything from a nice '32 to '34 Boat Hotrod, to an old Dusenburg. So I'm kind of all over the board with that. I'm around these cars everyday, and most of the cars we have in the inventory belong to us. I can always use them personally or take them to a car show. Do you mostly specialize in American classics? We do some Europeans as well. It really depends on what comes in. We have a VW bus here now and another 1957 Bug. So we try to sell what we get. Not solely American cars, or even classic cars. But also muscle cars and special interest vehicles of all types. Do you help customers find vehicles as well? We have a database that we keep here if somebody is looking for a particular vehicle. We'll put them in there and help them out as we get cars in. So you essentially become a source of knowledge for classic car owners? Oh yea, that's what I do. I try to make it easy for people that are unfamiliar with classics. When somebody comes in and wants to buy a classic, the first question I ask them is why? Do you have a place to store them? 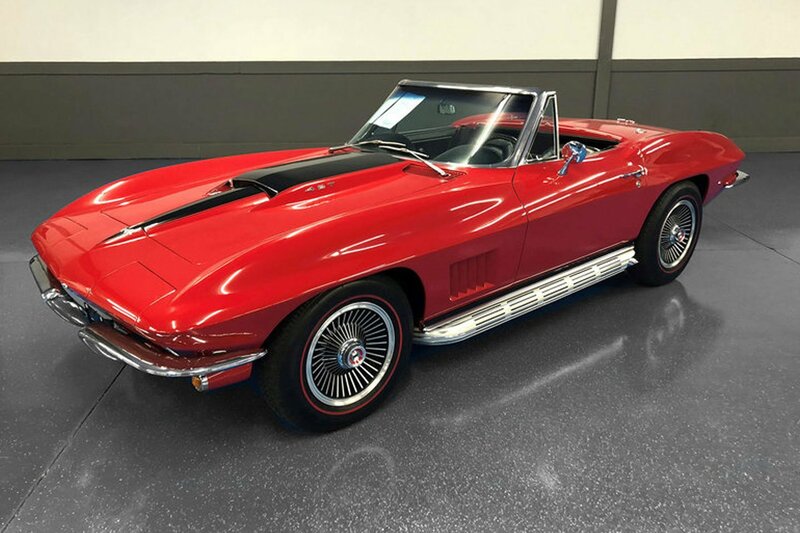 Have you ever owned a classic car before? I tell them about all the drawbacks so their classic car experience will be a great one rather than unenjoyable one. I bring up everything, but I don't try to scare them away. I purposefully want to make sure they are making the right decision. I want them to know what they're getting into. That's part of just being honest with people. Somebody can't come up to me and tell me something that "oh this car is original, or this is the motor it came with." I have my knowledge and ways of researching everything. We can look up and find out mostly everything in just a matter of minutes. I do get people trying to mislead us on something, or tell stories about their cars. But when the cars show up for consignment, I turn down most of them. Either because they are not priced accordingly, or they're not in the right condition. I'm not taking cars in here just to have more vehicles that I can't sell. I want to make sure we have quality cars for sale. Some people have a favorite make that they stick to. For example, someone will only own and drive Porsches. I'm guessing that's not true for you? Of course I'd like an old 356 Porsche too, but again it really depends on how the car has been built and kept. When I start with cars, I make them look more old school. Like they were from the 60s or older. That old racecar on the wall is mine. It's an Indy car I owned, a '57 or '58. That's what I like. Did you take it to the track? Not that one. It was preserved as it is in that top picture there. 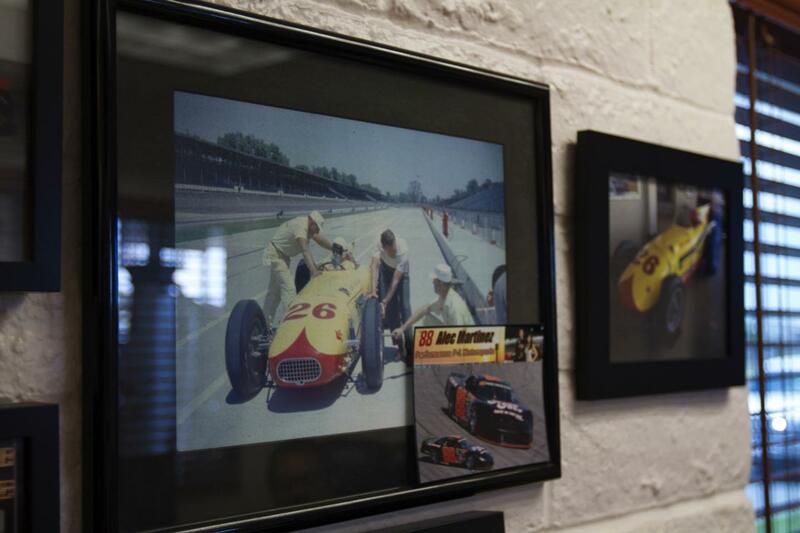 On the left is the car in 1958 in Indianapolis. That photo was taken just a few months before I was born. Thats when I had it and thats on display. My dad's in the back in the pictures on the bottom. He's in the center on the right picture. The red white and blue car on top - that was me in 89. The younger guy in the center there is my son, when he was 16 with that truck he ran back when he was 15, 16 that stock car, and 17 he raced another one of these. And he's now 18. What are your thoughts on modern cars, do you think any of them will ever become classic? My experience going back to the 80s into the 90s, I have seen people buy brand new cars, leave the window stickers on them and put them away for 20 years. They'd then pull them out and hope to get their original investment back. I don't see it happening now unles its some of the top end Ferraris that have waiting lists. But I don't think there's a great amount of them that will. There's a lot of people with the Hellcats, when they first came out they were producing them faster than they were buying them and putting them in auctions and making an extra 10 or 15 grand. But I think that demand wears off. Some particular cars will continue to grow. But its really hard to say which ones. With the cost of the dollar changing anything you're buying is going up. Porsches and muscle cars with racing history have the big money behind them so they will continue growing. 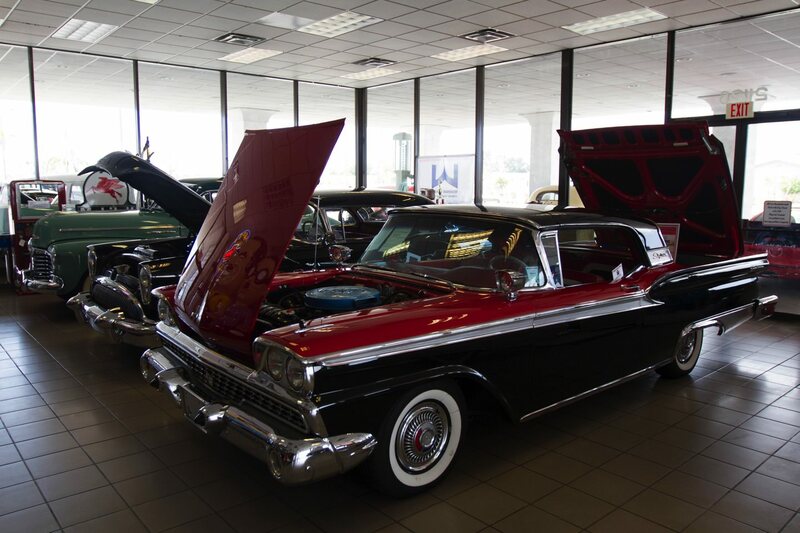 The cars that have been maintained to their original condition are also appreciating in value. Cars have become so good, and they're building other ones better and better. The modern cars are unbelievable with the technology and how well they perform. The horsepower is insane on some of them, and the way they handle with the computers controlling the wheel slip, the brakes, and this and that. Its amazing. You can drive today's performance cars and just floor it. People tell me you must drive old cars everyday, and I say no I drive an Explorer that's twin-turbo, all wheel drive, 365 hp stock, and its amazing. I just don't like that it doesn't have the V8 growl to it. Any cars in particular that are in greater demand than before? There are the rat rods that people are able to build cheaper, without having to spend a fortune. Now with the changes in cars and interest in collectability there's more demand for European cars like Porsches. I have seen most of them go back home in containers because you can't find rust-free examples in Europe. 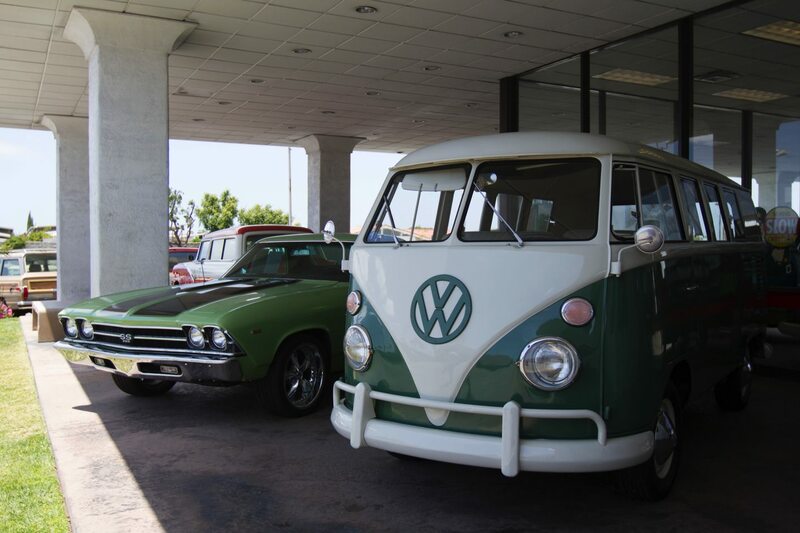 Do you think there will be even greater demand for classic cars in the future? I hope so. I think for the overseas business it all depends on the cost of the dollar and the cost of bringing the cars in. It looks like it may get tougher now because the US economy seems to be improving. I've never been fond of people telling me oh, you're selling it overseas and sending all the American cars overseas. I say well then buy them yourself, don't tell me. If I have a buyer overseas I'm not doing anything wrong by selling it overseas. No one says the cars can never come back to the US. It's business. I'm fortunate enough to be able to mess around with cool stuff, but its still work. 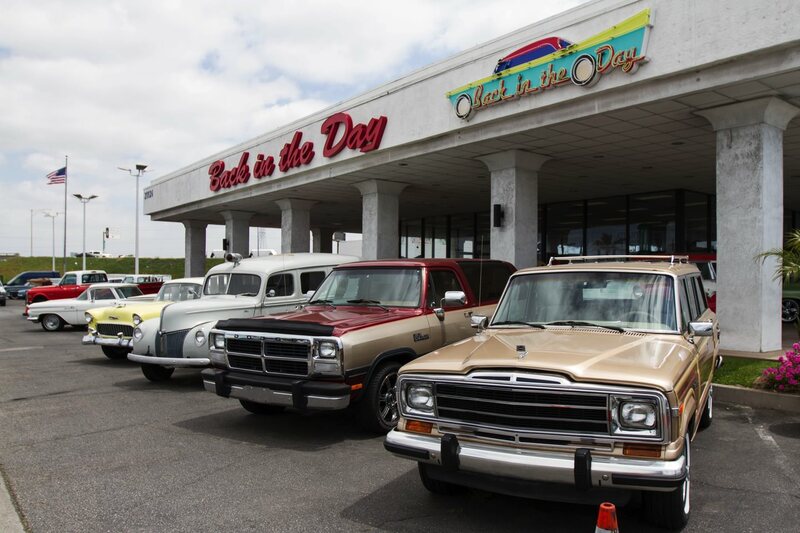 Tony has over 45 classic cars in stock at Back in the Day Classics. Check them out on their site here.